The point of universal pre-K is not to educate children but to control them. It’s elementary: When Democrats find themselves in political trouble, they reach for your wallet. After squandering billions on an ineffectual stimulus, failed green-energy boondoggles, and the disastrous Unaffordable Care Act, the Obama White House wants to dump $75 billion more into “free” preschool for all. That’ll solve everything. Government-funded universal pre-K is a moldy oldie of the progressive Left, recycled perennially by Democratic presidential speechwriters in need of State of the Union address padding. But this time, the fed-ed crowd is redoubling its efforts with support from big-business statists and academic shills. Why anyone would take the financial advice of Austan Goolsbee is beyond me. I’ll remind you that this is the same Austan Goolsbee who vigorously championed extending credit to the uncreditworthy. In a 2007 op-ed for the New York Times, he derided prescient critics who called subprime mortgages “irresponsible.” Goolsbee instead preferred to describe the doomed financial instruments as “innovations in the mortgage market” to expand the pool of homebuyers. We don’t need economics Ph.D.’s to see how that worked out. Goolsbee, like his fed-ed allies on both the left and the right, cites the well-worn Perry Preschool Project in Michigan to support Obama’s top-down push for subsidizing preschool for all. But that pilot program, run at a cost of $19,000 per child (in today’s dollars), took place more than a half-century ago. A more comprehensive and updated review of the literature by the Brookings Institution’s Russ Whitehurst, released last month, found that the vaunted academic benefits of full-time pre-K are, in fact, negligible. Let’s set all of this science aside for the moment. There’s a bigger elephant in the room. As I’ve pointed out for years, these cradle-to-grave government-education/day-care services encourage drive-through, drop-off parenting. Subsidizing this phenomenon cheats children, undermines family responsibilities, and breeds resentment among childless workers who are forced to pay for costly social services. The nationalized-preschool promoters, led by feckless bureaucrats who piled mounds of debt onto our children with endless Keynesian pipe dreams, claim that new multibillion-dollar “investments” in public education will “benefit the economy.” But ultimately, it’s not about the money or improved academic outcomes for fed ed. The increasing federal encroachment into our children’s lives at younger and younger ages is about control. These clunkers don’t need more time and authority over our families. They need a permanent recess. 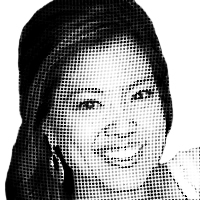 — Michelle Malkin is the author of Culture of Corruption: Obama and His Team of Tax Cheats, Crooks, and Cronies. © 2013 Creators.com.